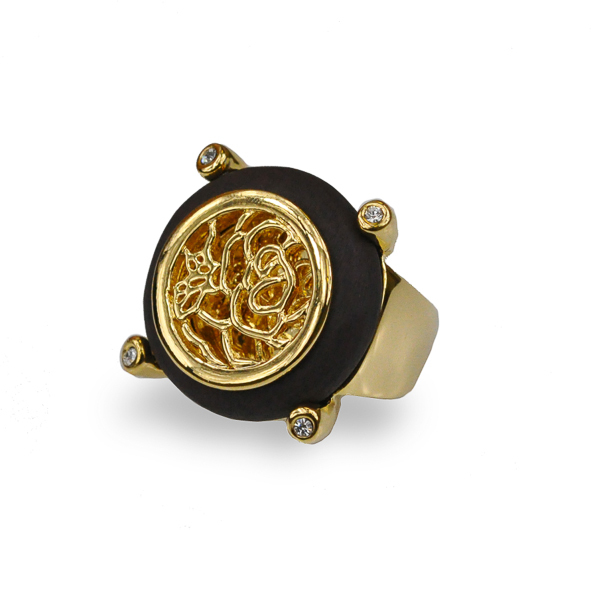 Description: Light catching shiny gold elusive flower and butterfly filigree design surrounded with brown resin stone creates this one cubic inch statement piece. She blends nicely with casual and dressy outfits any day of the week. 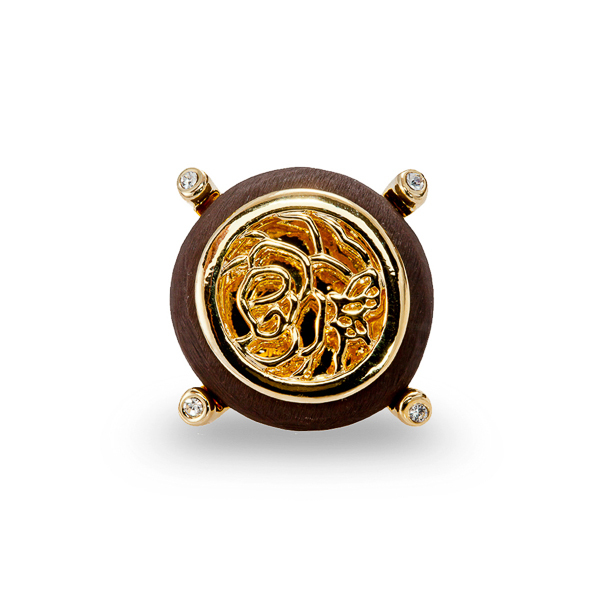 Material and Measurements: 14K Gold Plated Base Metal, Crystals, Resin Stone - Focal Point 1" X 1"
Enter Quantity for R-AE014 to add to your shopping cart.